All-in-one PCs are the domain of the novice, the hotel business nook, or the interior decorator who can’t stomach seeing a “real” PC in a pristine living room. With the exception of the iMac, they were seen as boring, underpowered boxes with laptop components stuffed behind a cheap screen. But that’s changing. It’s true that all-in-one machines are mostly cheap and simple, but the form factor has been undergoing a quiet revolution for the last couple of years. While Apple has been comfortable to trim dimensions and call it a day, manufacturers like Microsoft, Lenovo, HP, and others are filling the space with new and exciting designs. You should really check some of these models out before making your next desktop purchase. The first desktop machine from Microsoft’s self-branded hardware initiative, the Surface Studio is surely the poster child for this new generation of all-in-one machines. Combining a 28-inch touch screen, a fold-down artist’s easel hinge, and the much-praised Surface Pen from the tablet line, the Studio makes a compelling argument for Windows as an artist’s platform. Prices start high and go higher, but with a GTX 965 graphics card and an optional 980 upgrade, the all-in-one can also double as a competent gaming machine (albeit a not-very-upgradeable one). The $3000 starting price (with a rather paltry 8GB of RAM, no less) and slightly older Intel processors are two bummers in an otherwise amazing hardware package. Ditto for the unique Surface Dial: this rotating wireless tool can be placed directly on the screen for digital manipulation, but it’s a separate $100 purchase and currently limited to only a few applications. Even so, for those who want the absolute cutting edge in desktop design, the Surface Studio might be worth its steep asking price. The Envy series has long been HP’s showcase for its more bombastic designs, and the latest all-in-one machines to wear the badge are no exception. These desktops combine huge, small-bezel displays with a horizontal component body that integrates a quad-speaker Bang & Olufsen soundbar. At a glance, the design looks like a high-end home theater setup that’s been shrunk down to desktop size, and that’s basically what it is, with a mid-range Windows machine crammed into the package. The latest Envy designs are also surprisingly affordable, considering their displays. The base configuration for the massive 34-inch model starts at around $1800, though those who want more RAM, a bigger SSD+HDD combo, and a more capable graphics card can spend a bit more. The Envy design also comes in 24-inch and 27-inch versions, some of which offer touch screens, which isn’t an option on the largest version. 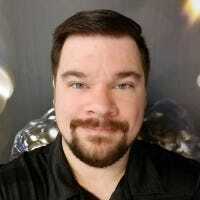 Even among these next-gen designs, gamers looking for truly high-end graphics can find their options a bit limited, thanks to the tight packages and non-upgradable components. Boutique PC makers are getting around that by cramming a full desktop into a 34-inch ultrawide monitor, in three separate products that seem to come from the same OEM supplier: the Digital Storm Aura, the CyberPower PC Arcus, and the Origin Omni. Slip off the back cover and you’ll be able to swap out every component, including a massive full-size PCIe desktop graphics card, RAM DIMM slots, SSD and HDD storage bays, and yes, even the desktop-class Intel processor and Mini-ITX motherboard. Other neat touches include an integrated liquid cooling system in some packages, an optional top-mounted webcam and microphone combo, and a full VESA mount adapter on the Aura (though you might not want to mount this 50-pound behemoth on a load-bearing wall). Configurations from the various suppliers can go well above the $4000 mark, but frugal customers can save a bit of money with the $1800 CyberPower PC model and invest in upgraded Mini-ITX compatible parts later. 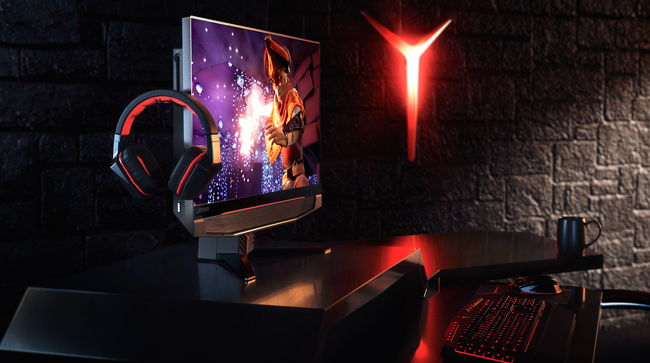 Lenovo’s take on the gamer-focused all-in-one takes a slightly different approach than the boutique models above. The motherboard in the IdeaCentre Y910 is custom, meaning that the processor can’t be swapped out, but the RAM, storage, and full-sized graphics card can. The speakers are larger and front-facing, putting a focus on audio—a nice bonus for anyone who isn’t already using a good pair of headphones. The screen is a more conventional 27 inches, which is less impressive but perhaps more practical for a wider array of games. The Lenovo design has an extra trick up its sleeve, too: it works as a standalone monitor for other systems. Plug in an HDMI cable to the input and you can play just about anything via the screen and speakers. Other little design cues include an integrated headset storage arm, a DVD drive, a height-adjustable stand, and side-mounted ports for easier access. There’s only one model available at a reasonable $2,300 price tag, which includes a 6th-gen i7 processor, 16GB of RAM, and a GTX 1080 graphics card. Dell’s XPS brand is making headlines thanks to some fantastic work in the laptop division, but it’s no slouch in other form factors. The XPS 27 uses a 4K screen with an optional touch upgrade and fold-down hinge for more direct tablet-style interaction. 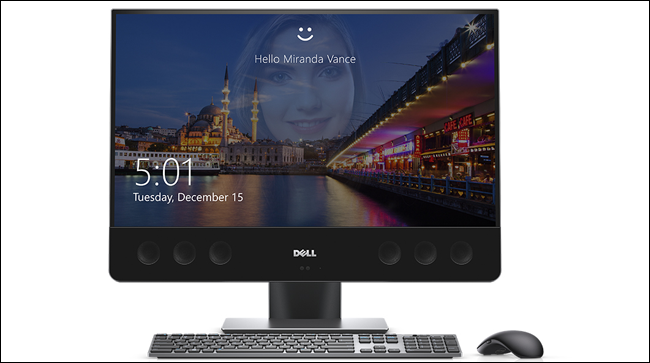 The design isn’t as sleek as other all-in-ones, but Dell says that the bulky speakers have three times as much power and 50% more clarity than the ones on the iMac. The XPS 27 is priced to move at just $1500 for the lowest tier, including a 4K non-touch screen. Upgrading to a touchscreen will cost you $400, and another $100 on top of that grants access to an AMD R9 M470X graphics card. Even the cheaper tiers can be upgraded after purchase thanks to a pair of user-accessible 2.5-inch hard drive bays, one M. PCIe X4 SSD slot, and four RAM DIMM slots supporting a maximum of 64GB. 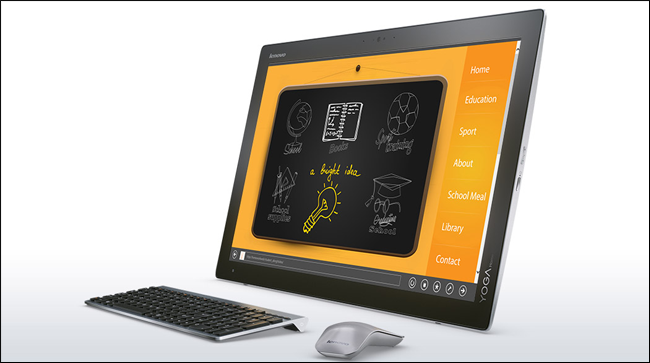 This all-in-one desktop is basically a gigantic Windows-powered tablet. Unlike the other touch-enabled machines in this list, the Yoga Home 900 can fold completely flat, its 27-inch screen and integrated battery inviting multiplayer games and shareable video. Though its older processor and relatively low-res 1080p screen aren’t necessarily built for gaming, a GeForce 940A graphics chip has more power than its pedestrian looks might suggest. The Yoga Home 900 includes a mouse and keyboard for full desktop-style operation, but extended use might benefit from a monitor riser, since the kickstand design keeps the screen quite low on a desk (which is not great for ergonomics). Its large size and weight and a limited three-hour battery life make it less suitable than a standard tablet for road use. Even so, with street prices dipping down towards the $1000 mark and an included suite of kid-friendly games and apps, it’s worth considering for anyone who wants a shared family computer. There’s not much to these minimalist Acer designs—they’re low-power all-in-ones, based on an Intel Celeron processor in the 22-inch model and a slightly speedier Core i3 in the 24-inch model. But they have two things going for them: one, they’re absolutely gorgeous, combining ultra-thin 1080p displays with silver or gold-colored accents. And two, they’re cheap, starting at just $450 for the smaller model. Even the larger version with a respectable 8GB RAM and terabyte hard drive upgrade is just $700 (and cheaper from some retailers), not much more than an equivalent desktop and monitor combo. Like the Surface Studio, HP’s Sprout Pro G2 wants users to get up close and personal with digital content. 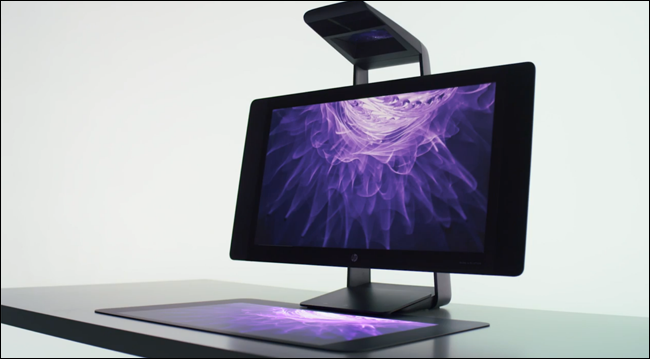 But instead of refining the all-in-one monitor design, HP has augmented it with a wild top-down projector that creates a virtual second screen where the keyboard lives on most desks. Combined with a multi-touch capacitive mat and an included digital pen, the Sprout Pro allows for a surprising amount of digital manipulation without any kind of external hardware. There’s another aspect to that unique projector mechanism: 3D scanning. Place any object on the touch mat area and the computer can make a full three dimensional model of it, which can then be imported into HP’s various tools for further projects. It’s a dream come true for 3D printing enthusiasts, but probably a bit of a gimmick for everyone else. Other downers include a relatively small 23-inch main display, and the fact that it’s still not ready for retail sales just yet, though the original model is now heavily discounted.